The Cherwell over door canopy is a simple, elegant addition to your home that provides shelter for your doorway. Made from durable and easy to clean Glass-Reinforced Plastic. 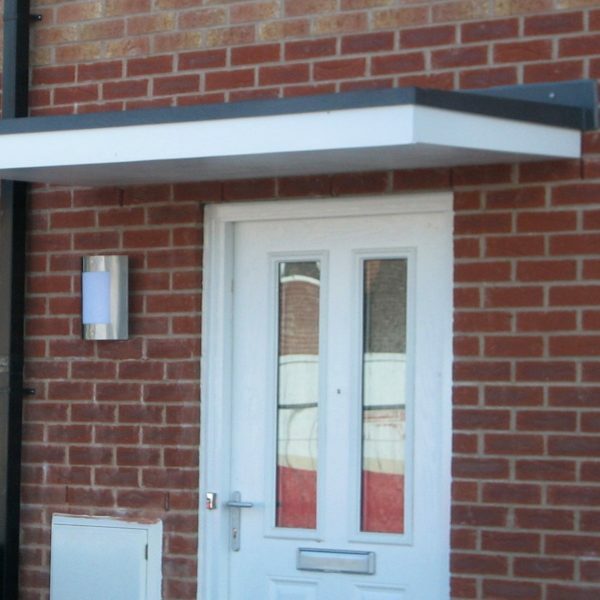 The canopy is easy to install and comes full assembled with the choice of plain or decorative brackets for extra support. 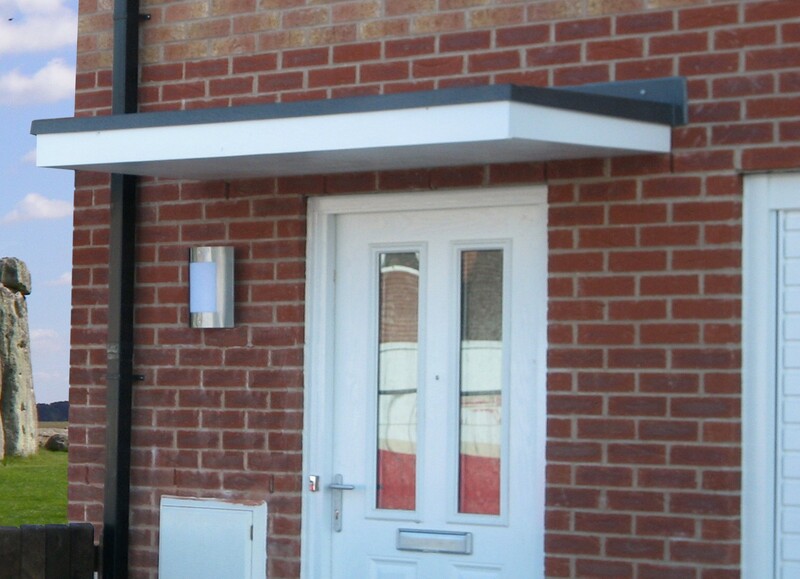 Click here to download our The Cherwell Overdoor Canopy assembly instructions. 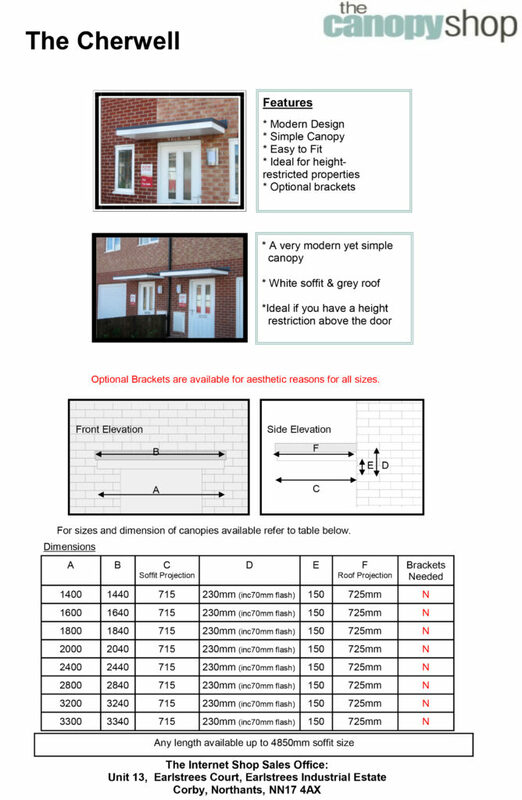 Brackets are not required for the Cherwell overdoor canopy. If you would like brackets, please contact us at The Canopy Shop for options, as each size has several possibilities.